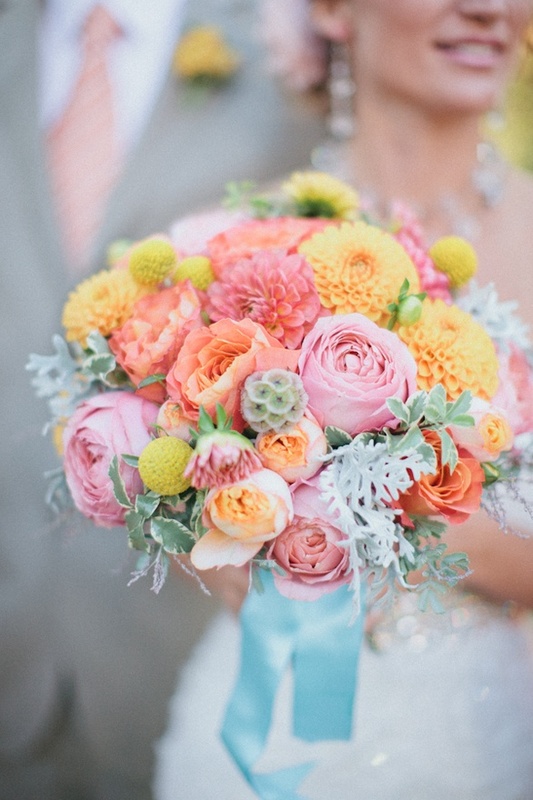 For me, there are two different seasons for spring wedding bouquets and flowers. The first is the side we see with the flowers coming back to life from the dead of winter. The colors aren't necessarily as vibrant, but you see more life in them. The second part of the season gets us closer to summer and the blooms have really started to show us their magic! Depending on when your wedding takes place it might be a good idea to think about what kind of colors work best with the season. 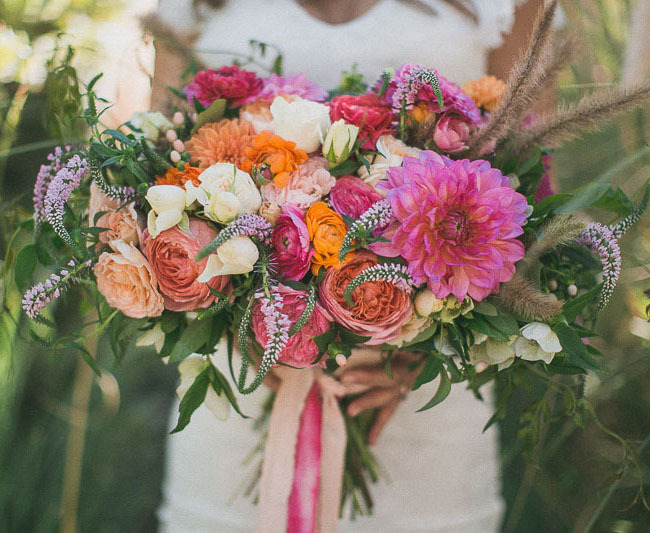 For example if you are having a wedding in late March, perhaps softer spring colors will work better — and for a May wedding, a bouquet with bright blooms might be what you're after! 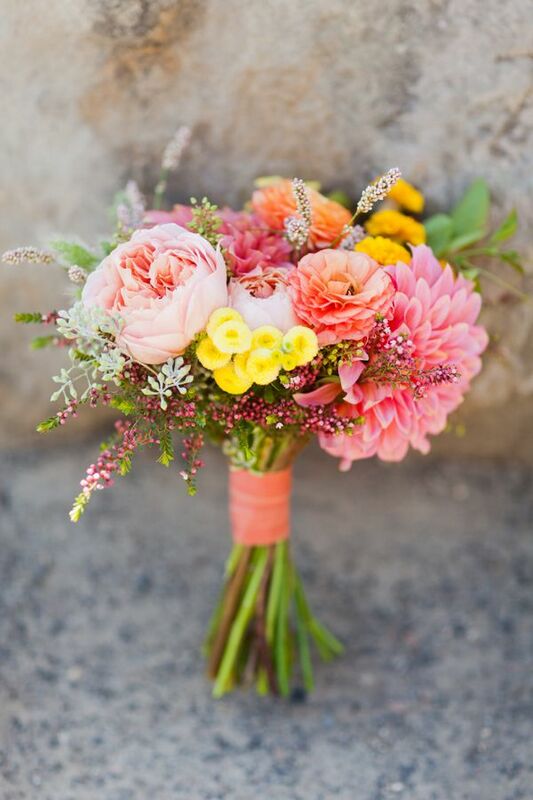 Read on for our favorite ideas for early and late spring wedding bouquets... with an extra freebie of fun ideas at the end! Bring in colors that are a little more muted. 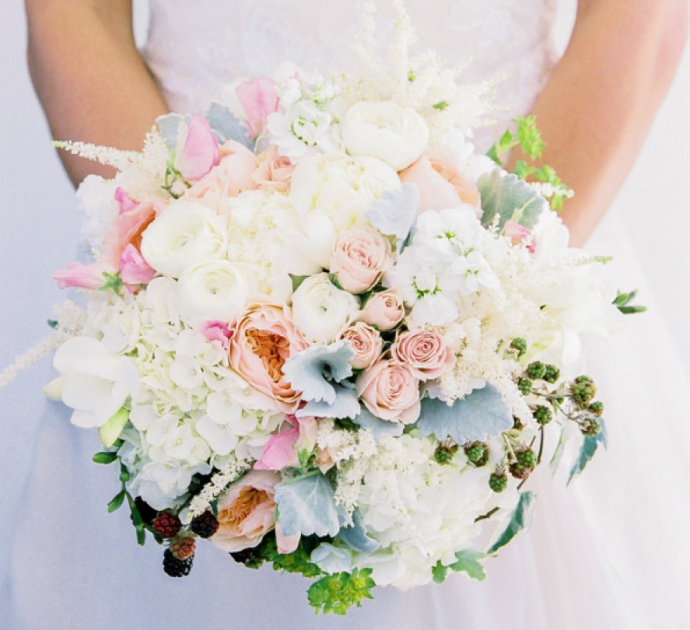 Think of ivory, light pinks, blues and greens. These flowers work well in any setting and with any theme and the best part is that they photograph so well! As we get later into the season the colors that come to mind are bright pinks, yellows and oranges. It's your choice as to how bold you want to go, but the closer to summer, the more you can get away with! Spring flowers for the groom! We obviously can't forget about the man of the hour. Sure his blooms aren't the focal point, but a little touch of color would be the perfect ode to spring. 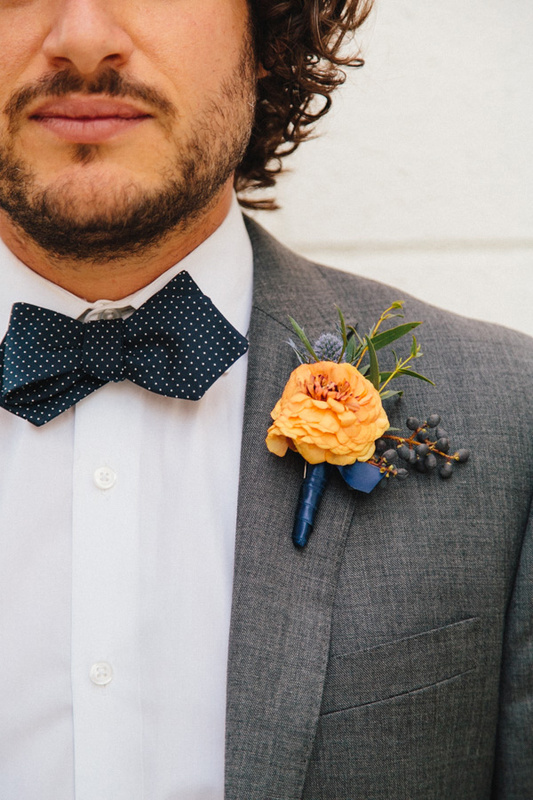 Which of these fresh boutonnieres would look dapper on your groom or groomsmen? Regardless of when you're getting married, it's always important to keep in mind what flowers are in season to make sure you aren't over spending. By keeping this detail in mind it will also help ensure that your flowers are the freshest they can be. 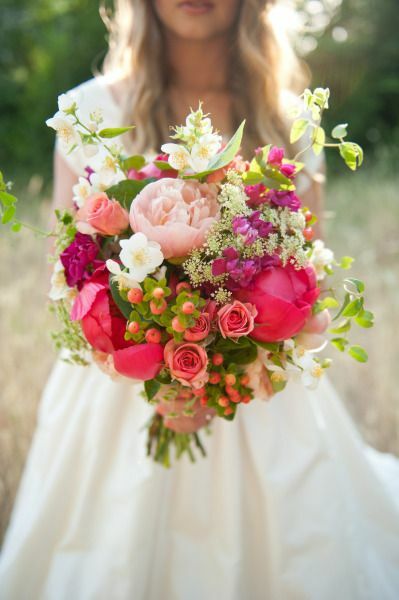 What Spring wedding bouquet is your favorite? Do you like bold or more subdued? 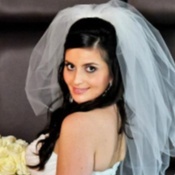 Biana Perez is a twenty-something newlywed that is quite simply giddy over weddings. Read along as she writes about food, fashion & fitness (and lots more in between) on her blog, Bloved Boston, and follow her @blovedboston on Twitter! Be inspired by Biana's posts here.